The success of Kaiserslautern-based Wipotec GmbH began with the invention of the "monoblock" more than 25 years ago. This core component of modern weighing cells ensures maximum precision at the very shortest settling times, even in harsh environments. The machines produced by Wipotec and its subsidiary OCS Checkweighers determine the exact weight of even the tiniest chemical samples weighing as little as one millionth of a gram as well as heavy parcels of up to 120 kilograms. Further fields of business include X-ray systems for detecting foreign bodies in food packaging and systems for tracking medicines. Since 2004, the Hidden Champion has successfully controlled its processes using the comprehensive ERP system proALPHA. Wipotec produces OEM weigh cells for almost all well-known mechanical engineering companies. They install the components at their own plants. Via its subsidiary, OCS Checkweighers, the company also operates in the b2c business segment in more than 60 countries, mainly in the food, consumer and pharmaceutical industry and serving leading postal service companies. Wipotec's innovative products are used in virtually all industrial production processes. The weighing cells are not only integrated in checkweighers, bottling plants and dosing systems, but also in packaging machines of all kinds. "In the pharmaceutical industry, our products are used for weighing pills, capsules, syringes and packaging," CEO Theo Düppre explains, "and in the food industry for everything you can find in a supermarket." The high-tech systems developed in Kaiserslautern can also be found in the sorting systems of many international postal service companies. Since 2004, proALPHA has been used as the central ERP system for all German and international Wipotec offices, and currently runs on approx. 250 workstations. It handles all processes in all company divisions, including sales, purchasing, production, warehousing and material management. The ERP system has always kept pace with the changing requirements over these years. These changes include the rapid increase in production quantities – at last by 30% in 2015 – due to international expansion, and a growing product diversity. Depending on the respective order's complexity, Wipotec machines are delivered within 6 to 20 weeks. To ensure that all deadlines are met, all projects must be planned and coordinated thoroughly. "Since delivery reliability is a crucial factor to customer satisfaction, we attach top priority to timely deliveries," IT coordinator Frank Serr points out. 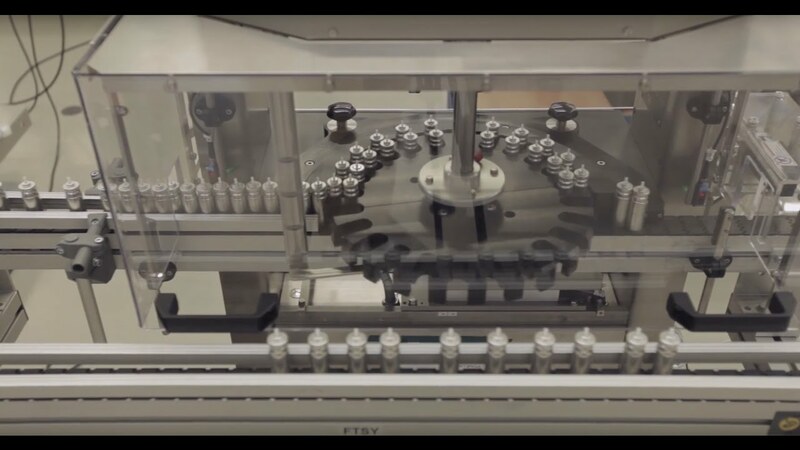 At many Wipotec customers' factories, the conveyor belts run non-stop throughout the whole year, for example at large pharmaceutical companies and package delivery companies in the US. For this reason, new machines and components can only be installed in the customer's production lines on certain occasions. "This is why our systems need to be delivered promptly," Theo Düppre emphasizes. "All processes at Wipotec are geared to this goal, and proALPHA is the backbone that ensures that the tight deadlines are met." More than 25,000 bills of material with 70,000 enabled and 75,000 disabled parts are currently managed at Wipotec using proALPHA. Every week, 50 to 100 news parts are added to the system. This is due to the many customized products developed by Wipotec in addition to the serial products that are based on sets of existing components. These various business models require different planning methods and sophisticated production cycles. With proALPHA Advanced Planning and Scheduling (APS) you can perfectly combine various types of production and map them in a single system. For series production, all logistics and production processes are optimized so that costs and cycle times are reduced to a minimum. For project business, proALPHA offers enough flexibility to make even the most unusual customer wishes come true within the shortest time. It supports Wipotec in designing, engineering, production and even in the machine's installation. For individual customer projects such as complete weighing solutions, X-ray scanners and track & trace systems, Wipotec uses growing bills of materials. The production of particular components can then be started even if plant design is not yet complete. All modifications effected in the course of the project are thoroughly documented in the ERP system. With the upgrade to proALPHA version 6.1, further ERP modules were added to the system at the beginning of 2016. For example Project Management, which is used to coordinate the production of special machines even more efficiently. For the communication with the electronic customs system ATLAS, Wipotec uses software provided by the Format company. It is connected to the ERP system via a bidirectional interface. Authorized customs documents returned via this interface can then be automatically archived in the document management system (DMS) by proALPHA. Here all documents are automatically archived. For instance, the shipping documents and invoices received upon stock receipt are all scanned and automatically processed. "Without proALPHA, the company's development would have been totally different. Our company wouldn't work today without such a comprehensive system," says IT coordinator Serr. And this development is still going on, with a number of other processes soon to be optimized – using the proALPHA Product Configurator, for example. "It is our goal to categorize all customer requests received by the Sales team into standard, variety and customized machines, so that the corresponding processes can be triggered automatically in the ERP system," Düppre explains. For a standard product, the corresponding bill of materials is then opened immediately, thereby triggering production. For a customized machine, however, the engineers are incorporated at an early stage. This saves a considerable amount of time, so that the machines can be delivered earlier to the customers. Another increase in efficiency is expected from the use of the CA-Link module. Until now, the engineers have had to transmit their data manually from their CAD system to proALPHA. This is not only time-consuming, but also quite error-prone. With CA-Link, this process will be automated in future. In addition, engineers can access any relevant data in the ERP system directly from their usual CAD environment, for example in order to view delivery times and the purchase prices of the materials used. This creates transparency for all divisions and relieves the engineers of cumbersome work.